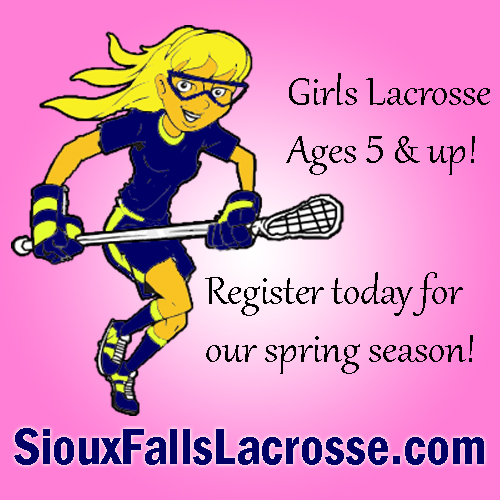 Welcome to the Home of Sioux Falls Spark Lacrosse! 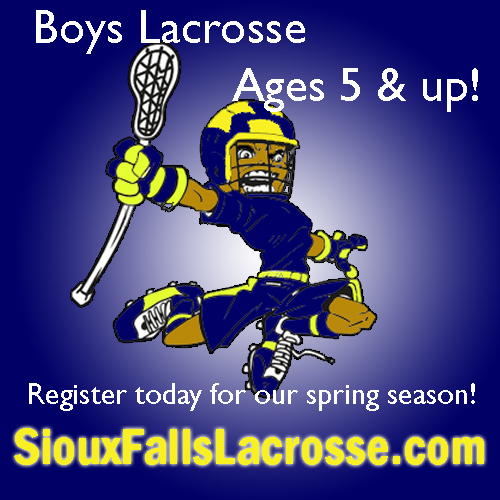 Our recreation lacrosse season starts soon! Sign your kids up to play the newest and fastest game on two feet! Lacrosse is great for kids because it is a highly engaging sport that emphasizes speed and skill over size and strength. The skills used in lacrosse transfer directly to other sports such as hockey, basketball, volleyball, soccer, and football. The best part is that lacrosse is FUN for kids to PLAY! Our 6-week program will meet on Tuesday and Thursday nights for an hour. All our skill-building activities are gamified and scrimmages are FAST and FUN! Practices begin on April 29! Sign up below!